I joined this site in December 2008 and I´m addicted - probably for life. I love sharing work with so many teachers from all over the world. I also publish my worksheets at islcollective. 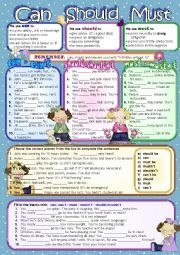 A two page worksheet on the passive voice. 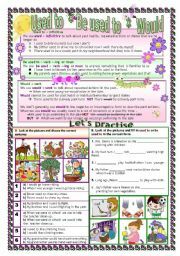 There is a short grammar guide and six exercises graded from easy to difficult. An answer key is included. I hope it proves useful for some of you. Have a nice Thursday- the weekend is just around the corner. 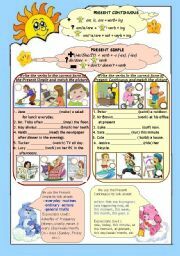 This worksheet is for students who are learning Reported speech for the first time. It has a grammar guide and four exercises in graded sequence which are fairly easy for students. I hope some of you can use it. Have a nice day! 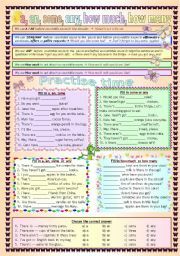 A worksheet to practise used to, be used to and would. There is a grammar guide and four graded exercises from easy to more difficult. There is also an optional suggestion for writing a short paragraph. The key is included. I hope it is useful for some of your students. Have a nice day! A worksheet to practise the modals can, should and must. 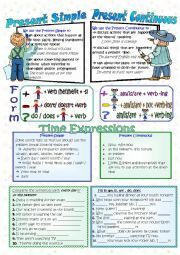 It provides a short grammar guide as to usage and five exercises.It is completely editable. A grey-scale version and an answer sheet are included. I hope it is useful for some of you. Thank you! I created this for an athletic class of rowdy , attention defiency students. They have to match the description of the extrme sports to the pictures. It is the second of a five lesson unit. I hope some of you find it useful. 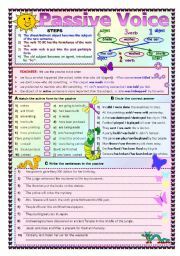 A worksheet on health and health related problems. Students have to match the sentences to the right picture. There are two pages one is with general health problems the other is a little bit less common. A key to the exercises is included. I hope you some of you find it useful. Have a nice Sunday! 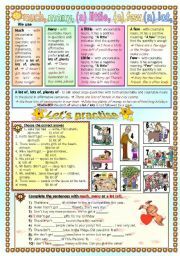 This is a 3 page worksheet with the basic rules and six exercises on the present continuous and present simple. I hope some of you find it useful. A memory game to practise some Christmas vocabulary. The last slide is not seen when you play but has the answers for the teacher. I hope you enjoy it! This is the second part of the game. Thank you! 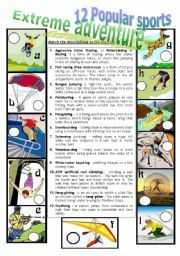 A Multiple choice game to practise future uses of the present simple , present continuous , be going to and will future. There are 16 slides I hope you find it useful. 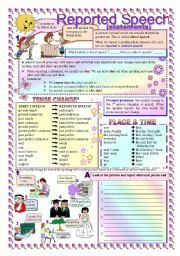 There´s also a grammar lesson to go with it here http://www.eslprintables.com/powerpoint.asp?id=67429#thetop . Thank you!